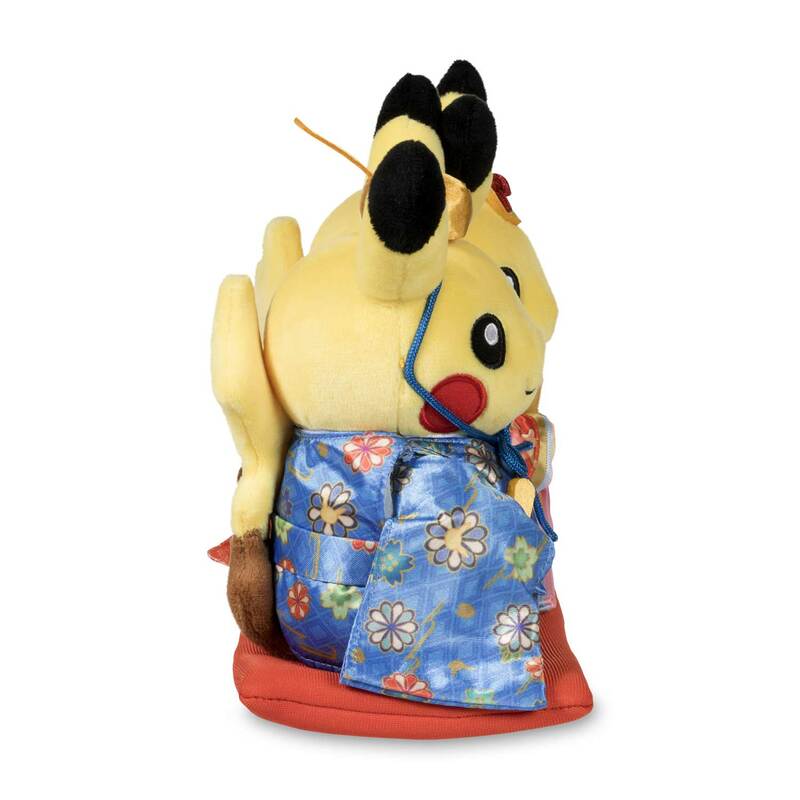 Paired Pikachu Celebrations: Doll Festival Pikachu Plush - 8 1/2 In. 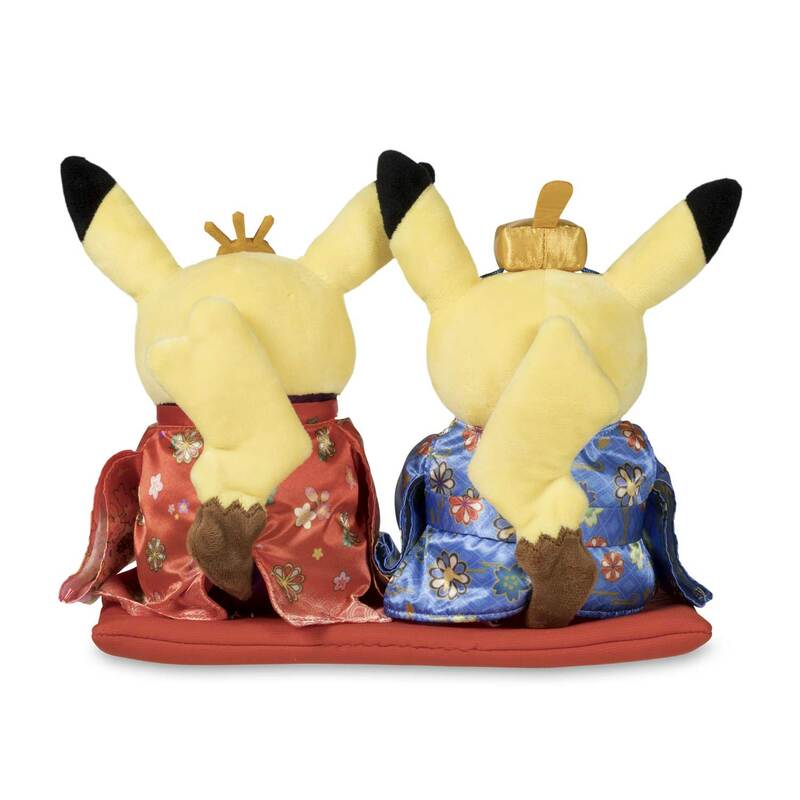 In their silky and pattern printed formal robes, with ornamental headpieces, sashes, baton, fan, and a red pillow under them, these Paired Pikachu Celebrations plush really capture the spirit of the tradition of the Doll Festival. 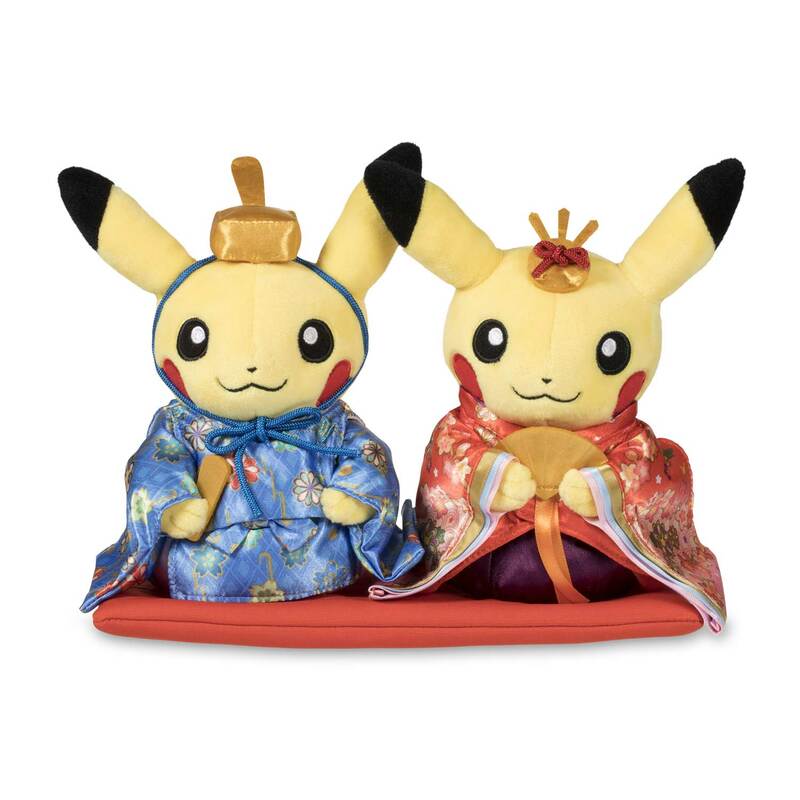 Held in March, this special day revolves around displaying beautiful dolls in the court dress of the Heian period in Japan. 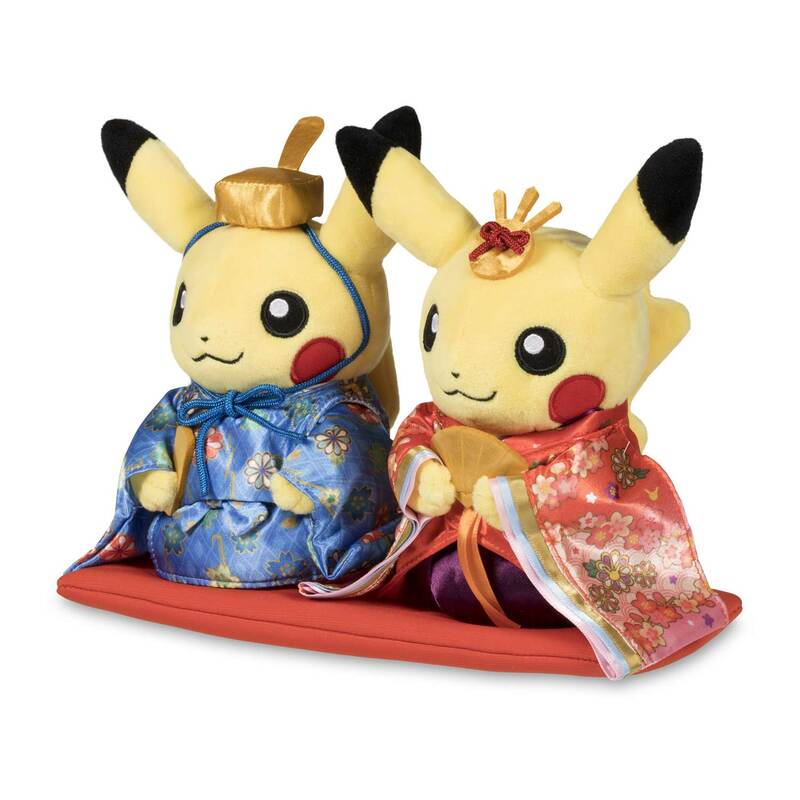 These two Pikachu are dressed up as the Emperor and Empress!